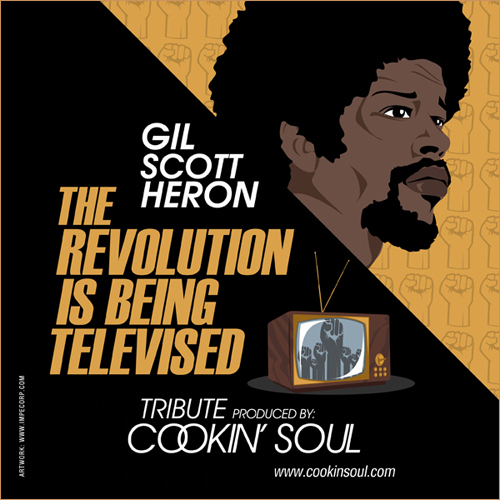 The Posthumously published memoir of poet, musician, and activist Gil Scott-Heron is a body of bright stars that makes up a beautiful constellation — if one sees it in the right way. The individual stars are the disconnected observations and more or less extended anecdotes and episodes that comprise The Last Holiday. We learn of family members such as Aunt Sissy, who would trace her fingers along Gil’s spine as a boy while hugging him, stealthily checking for the scoliosis that afflicted some family members. We learn for the first time of his son, Rumal, of whom he never spoke publically or privately for 12 years, at the request of Rumal’s mother (whose identity the author does not reveal). And we learn a great deal about Gil’s friendship with Stevie Wonder in the early 1980s, particularly as Stevie made it his objective to establish a national holiday — the “last” holiday, to which the title refers — honoring the birthday of Dr. Martin Luther King, Jr. We learn all this and more through engaging the often disordered fragments of prose and poetry, including passages written years, even decades, before the author’s death in 2011. Scott-Heron’s friend and publisher Jamie Byng, in an afterword to the memoir and in interviews, has explained the origin and odd trajectory of The Last Holiday and why it reads like a tribute to Wonder in some parts and a collection of sweet and hilarious anecdotes in others. Gil began the work in the early 1990s as a third-person account centering on Stevie Wonder and the ultimately successful campaign to create the King holiday. Revised multiple times and left untouched for over a decade, the final product still bears marks of Gil’s original intent but also supplies valuable information about his childhood in Jackson, Tennessee and his artistic and musical career. Readers familiar with the deep cadence and caustic wit of Gil’s lyrics will hear them on nearly every page. As other reviewers have noted, he says little about the dark addictions that weathered him during the last decades of his life; ultimately, much of the book’s complexity stems from what the storyteller would not or could not say. Read more here. Shout out to the crate diggin’, vinyl mixin’, Assistant Professor of Urban Education in the Department of Teacher Development and Educational Studies at Oakland University, for the profoundly moving book review! And because there is a mixtape for every occasion . 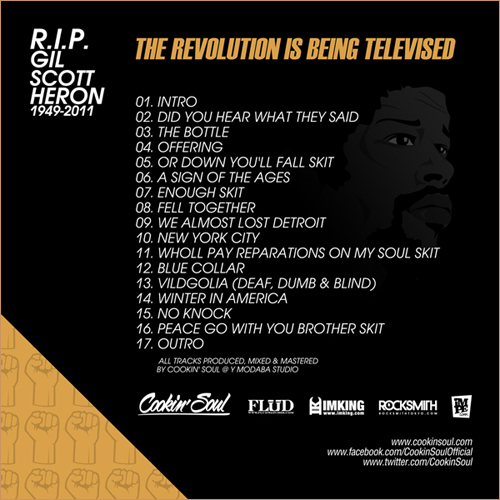 . .
Download “The Revolution Is Being Televised” here.